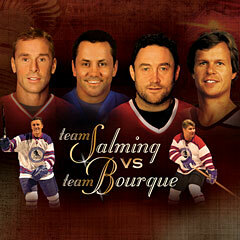 Stay tuned as more participating hockey legends are announced! 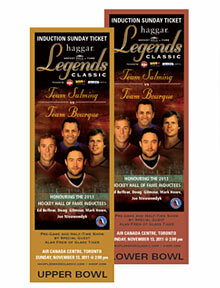 Witness hockey history as the 2011 Inductees receive their official Honoured Member Blazers. Honoured Members Ray Bourque and Borje Salming take to the ice along with an unrivalled cast of hockey legends, including new inductees Belfour, Gilmour, Howe and Nieuwendyk. Live performances by five-time Juno Award winner Alan Frew of Glass Tiger. *Special offer only available at the Hockey Hall of Fame's Spirit of Hockey Store and is no longer available online through HHOF.com. No phone orders please.